The Huawei Watch GT, a fitness-focused wearable that’s more like an advanced fitness tracker than smartwatch, has arrived in the US. Starting at $199.99, this is a watch for those needing something to track your daily health adventures. Just don’t buy one looking for smartwatch features. First introduced in October of last year, the Huawei Watch GT really is an advanced fitness tracker. It has a big beautiful 1.39-inch AMOLED touch display in a 46mm case made of metal, ceramic, and plastic. It features 5ATM water resistance, GPS, optical heart rate sensor, Bluetooth 4.2, and 14-day battery life. It’ll track your sleep, your workouts, and then some. A typical charge should last through all-day wear, sleep tracking, and up to 90 minutes of exercise. If you don’t do exercise tracking, it could last for 30 days, Huawei says. Why did I take shots at it not being a smartwatch? They weren’t shots, it’s just that we’re used to Huawei making really good Wear OS smartwatches that do smartwatch things. This watch, before you go into it hoping to have smart stuff happen, is not a smartwatch. Huawei even refers to it as a “smart wearable,” so we are clear. For smarts, all this watch really does is try and mirror notifications as they come in. They pop up on the watch in a basic UI, don’t offer any actions, and aren’t handled very well from phone to watch and back again. Just be aware of that. This watch is for full-on fitness and sleep tracking, not to be a smartwatch companion. And that’s OK! I wore a Huawei Watch GT for a few days last week and thought it was solid as a fitness tracker. It also looks really nice and wears well, even if it is a tad large. 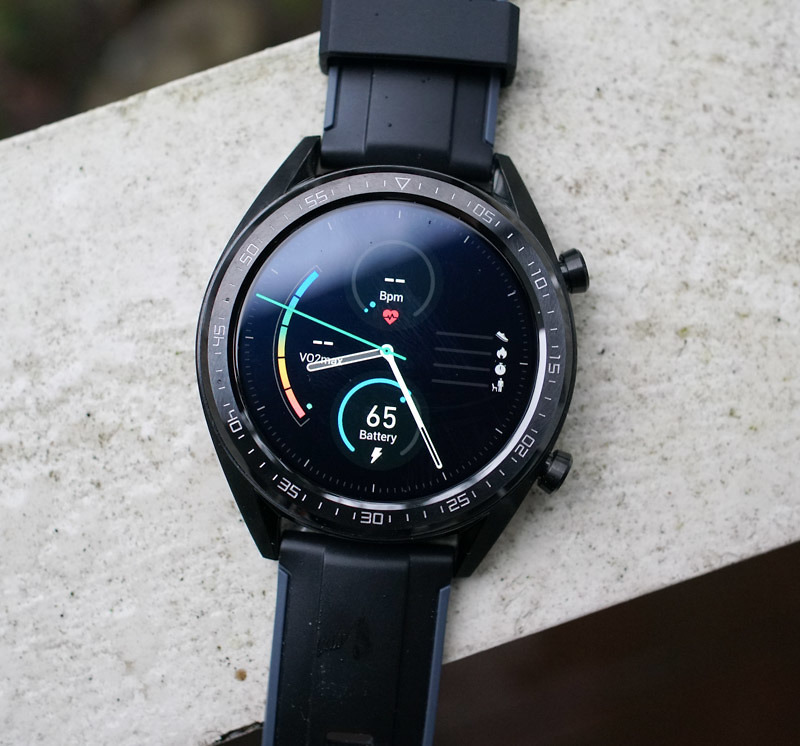 Still, it’s slimmer and trimmer than my Garmin Fenix 5, the device Huawei wants to compete against, and is hundreds of dollars less. I actually think this could be a great fitness tracker for most people. The Huawei Watch GT comes in two options: Graphite Black and Saddle Brown. The black model is $199.99, while the Brown version is $229.99. Pre-orders open today and Huawei didn’t tell us when they’ll ship.